We love our pets and want the best for them as if they are our own children. That’s why it’s important to notice and understand what type of ingredients are in your pet products. Unfortunately, not all pet products are safe for your furry friends. Many products on the market can do more harm than good. Chemical-free food and medicine products are ideal, if you can swing it. 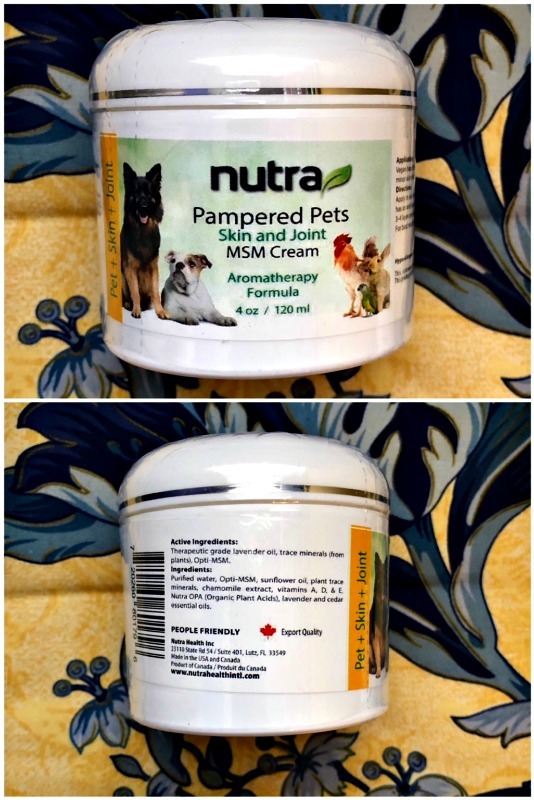 The good news is that Nutra Health’s Pampered Pet line can show your furry pal how much he or she is loved. After all, healthy pets are happy pets. Nutra has one simple principle, make only products that are natural, clean and effective. Their products not only provide high-quality essential oils, vitamins and minerals, but they are highly absorbable without artificial and toxic ingredients. Nutra’s products have also been time tested for over 18 years with tremendous success (and no side effects). All the Pampered Pets products have been field tested with horses, chickens, dogs, pigs, birds, rabbits and found to be the most effective solution naturally! The heart of Nutra’s ingredients includes MSM which is an organic sulfur compound commonly referred to as the miracle supplement. Many studies have found MSM to increase cellular repair and rejuvenation, also known as the beauty mineral. The MSM sourced for their products is the only quadruple filtered (99.99% pure) MSM available. MSM has many healing qualities including, the unique ability to help deliver nutrients through the skin barrier making each ingredient and each product more efficient and effective. 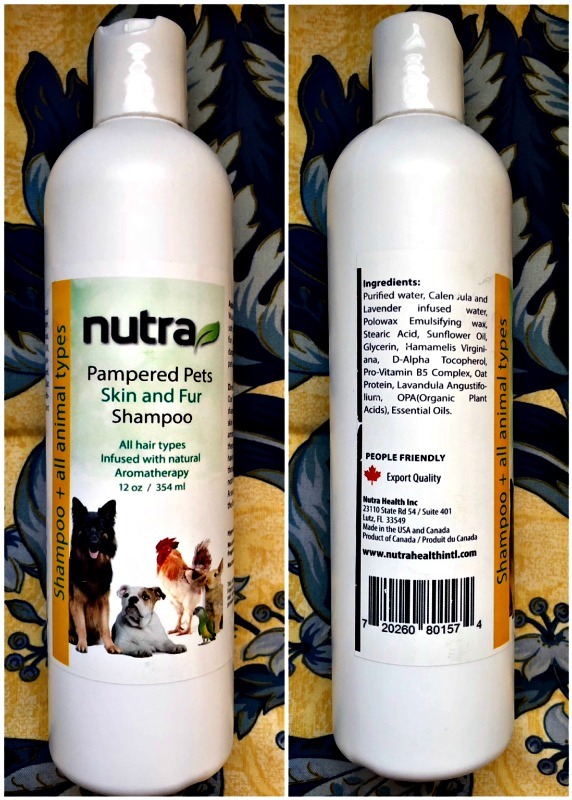 Nutra products are also not tested on animals, are vegan, non-GMO, hypoallergenic, and free of artificial preservatives, fragrances, perfumes and colors. All-Natural shampoo cleans without harming or irritating your pet. This foam-free formula works for all hair types with natural aromatherapy and cleans without damaging the hair follicles or causing side effects. The best all-natural nutraceutical, non-GMO and vegan healing cream on the market. Pets are like children in that they can be very sensitive to foods, chemicals, and smells. This all-natural vegan-based solution is the best treatment for bites, rashes, dry spots, wounds and muscle and joint pain, and is the best way to help your pet heal. Essential oils may pose a toxic risk to household pets, especially cats. Essential oils are rapidly absorbed both orally and across the skin, and then metabolized in the liver. Cats lack an essential enzyme in their liver, and therefore have difficulty metabolizing and eliminating certain toxins like essential oils. Cats are also very sensitive to phenols and phenolic compounds, which can be found in some essential oils. The higher the concentration of the essential oil (i.e. 100%), the greater the risk to the cat.